Strategic planning is my most requested service. Traditional strategic planning happens among a select few who have to sit down and write a long, boring document which is then promptly put on a shelf (or filed in an email folder) and forgotten. Participatory Strategic Planning is actually fun and involves a number of people in the organization. The result is a concrete plan that everyone buys into and is ready and able to implement. 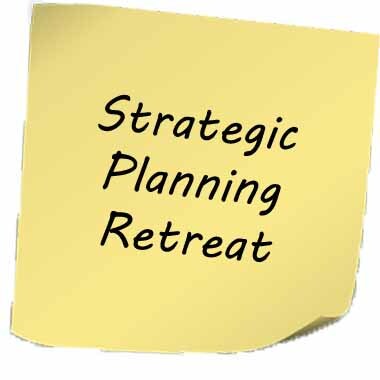 After an initial planning meeting with you, we will schedule four sessions of three hours each to do the actual strategic planning workshop. (It can also be done in a day and a half workshop). The group will create practical images of a group’s desired future. The group will identify and analyze obstacles and root causes that prevent realization of its vision. The group creates strategies that will deal with the contradictions and move a group towards its vision. The group decides the substantial actions required to carry out its new directions with measures and implementation plans.